We love to welcome families to The White House. 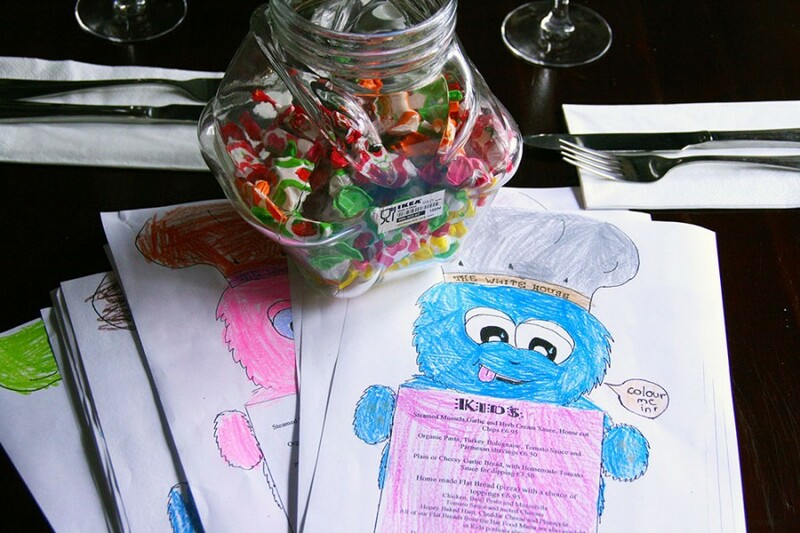 To keep your children happy and occupied during the short wait for their food, we offer them crayons and paper and they get to either colour pictures or draw their own. We keep these pictures on our special ‘Gallery’ Wall. We’ve noticed that the standard has been so high that we’ve just got to share the best of these pictures here with you on our online gallery. This first picture (above) is coloured by Lucy Dempsey and we think it’s so good we’re using it as our featured image. Well done Lucy! Let’s see who is the next artist to be featured on our online gallery.